The Rocket’s 13th annual Tux & Tennies Charity Gala, coming in February, will award the event’s proceeds to the Bush Clinton Coastal Recovery Fund and the Yao Ming Foundation. The basketball team wanted to help local communities rebuild after the effects of last autumn’s Hurricane Ike. 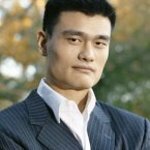 But team player Yao Ming has another passion as well – his Yao Ming Foundation, created last spring in his country of origin, China. The Bush Clinton Coastal Recovery Fund is also aimed at rebuilding community services as well as infrastructure for the hardest hit. This is the third joint effort of these two former US presidents, after Hurricane Katrina and the Southeast Asia Tsunami.